officials, captains of industry, members of the academia, civil societies, gentlemen of the press and all other stakeholders who found time to join us at this special occasion. I would like to congratulate the President and the entire Council Members of the Kaduna Chamber of Commerce, Industry, Mines and Agriculture (KCCIMA) for their tremendous efforts in making this year’s trade fair a great success. I wish to also commend the Chamber for its untiring efforts and commitment towards achieving the objectives of this trade fair aptly captured in the theme: “Promoting Public Private Partnership as Panacea for Accelerated Growth and Development” which focuses on the importance of partnership between the public and private sectors of the nation’s economy. Let me put it on record that since 2008, the NDIC has been participating in trade fairs not only to showcase its landmark achievements but also to enhance public awareness on its core mandate and activities as well as to promote financial education among Nigerians. I am also delighted to state that the theme of the trade fair is in consonance with the NDIC mandate of protecting the interest of depositors, particularly the small savers by ensuring the safety of their bank deposits as encapsulated in the slogan of the Corporation: . Mr. President, our royal fathers, distinguished guests, ladies and gentlemen, I am proud to note that since it commenced operations in 1989, the NDIC had been discharging its mandate creditably. The maximum deposit insurance coverage (MDIC) per depositor per bank had also progressively increased from ₦50,000.00 in 1989 to its current ₦500,000 per depositor per deposit money bank (DMB) and non-interest banking institutions (NIBIs). This maximum insured limit of N500,000.00 was recently extended to depositors of primary mortgage bank (PMBs) in view of the growth in their deposit structure. The NDIC also extended insurance coverage in 2009 to microfinance banks (MFBs) with ₦100,000.00 which was increased in 2010 to ₦200,000.00 per depositor per MFB. It is instructive to note that the maximum deposit insurance coverage ensures adequate coverage of over 90 percent of depositors in the banking system. 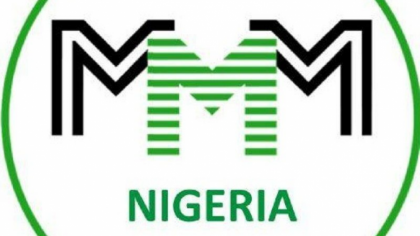 Our royal fathers, distinguished guests, ladies and gentlemen, I wish to draw your attention to the recent emergence of the Ponzi scheme, popularly called Mavrodi Mundial Movement (MMM). The social media has estimated over N18 billion losses by about 3 million Nigerians in the ponzi scheme despite repeated warnings by the Central bank of Nigeria (CBN) and NDIC. It is also very sad to note that recently some newspapers had been awash with reports of how some disgruntled elements have been floating local Ponzi schemes under various names with the intent of defrauding unsuspecting members of the public of their hard earned money. Let me therefore use this platform to emphasize the fact that the creation, usage or trading in the ponzi scheme in forms of virtual currencies, such as Bitcoin, Ripples, Monero, Litecoin, Dogecoin and Onecoin as currencies for medium of exchange are internet-based transactions and are not authorized by the CBN due to the risks involved in their operations. For the avoidance of doubt, any person or groups of persons who invest their money in the ponzi scheme are doing so at their own risks. Also related to the Ponzi scheme is the phenomenon of illegal fund managers, popularly called “wonder banks” which have continued to defraud unsuspecting members of public of their hard earned money. This phenomenon has been a source for concern because despite our repeated warnings over the years, some members of the public have continued to fall victims of their fraudulent practices. Therefore, I would like to reiterate the fact that these fund managers are illegal as they are neither licensed by the CBN to take deposits from members of the public nor are those who patronise them covered by the NDIC deposit insurance scheme. It is equally important to draw your attention to some cooperative societies which often go beyond their primary mandate of accepting contributions from members. I wish to emphasize the fact that cooperative societies are only registered to mobilise savings from their members. Members of the public are therefore warned against patronising them as banks. Let me also use this opportunity to draw your attention to the dangers involved in keeping large sums of money either at home or in market shops and other unsafe outlets. It is heart-warming to say that there are 978 licensed microfinance banks (MFBs) nationwide out of which seven (7) are spread across Kaduna State. However, I wish to call on the Kaduna State Government and indigenous investors to establish more MFBs in the State in order to bring formal banking services closer to the grassroots. Before concluding this address, I would also like restate NDIC’s commitment to consumer protection in the banking system. To this effect, I wish to once again announce that the Corporation had established a 24-hour NDIC Help Desk with a toll free telephone line: 080063424357. Depositors and other stakeholders are therefore advised to make effective use of the free telephone line in making their enquiries or laying genuine complaints to the NDIC on sharp practices being perpetrated by their banks. For further information, members of the public can also visit our website: www.ndic.gov.ng which had been integrated with popular social media platforms, including Facebook, Twitter, Instagram, YouTube and LinkedIn. On behalf of Management and staff of the NDIC, I would like to express our heartfelt condolences to the people and government of Kaduna State over the loss of lives and property in the recent community clashes in Southern parts of the State. I also wish to express our profound gratitude to the President and Council Members of the KADCCIMA, our highly respected royal fathers, distinguished guests and gentlemen of the press who took time out of their busy schedules to be with us at this special occasion of the NDIC Special Day. May the Almighty God grant all of you journey mercies to your respective destinations. I thank you all for your attention. How exactly is it a loss since they paid to their fellow Nigerians. What about other schemes that have collapsed or still running.